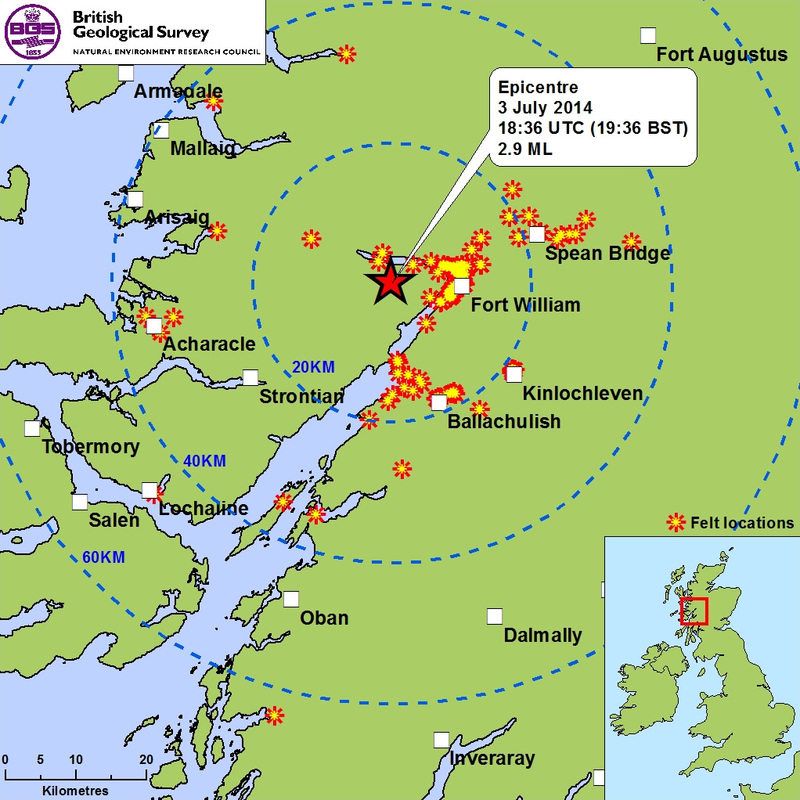 There was an earthquake at approximately 6.30pm on July 3rd, 2014 in and around Fort William. It was 2.9 on the Richter scale or, perhaps more tangibly, on the Moment magnitude scale (Mw) it was somewhere between a large quarry blast and a small atomic bomb. If you’d like to learn more about earthquakes in Lochaber there is a very interesting article in our “The Birth of Ben Nevis” booklet (available from our office or tourist centres). The image (right) is from the British Geological Survey website, and has a map showing the epicentre of yesterday’s earthquake and distribution of felt reports. 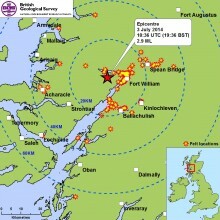 The epicentre was about 10km west of Fort William and was 5km in depth.